42 different colours and designs supplemented by 18 fun and exciting designs from the Disney & VELUX Goodnight Collection. Available in 42 different colours and designs including 18 fun and exciting designs from the VELUX & Disney Goodnight Collection. 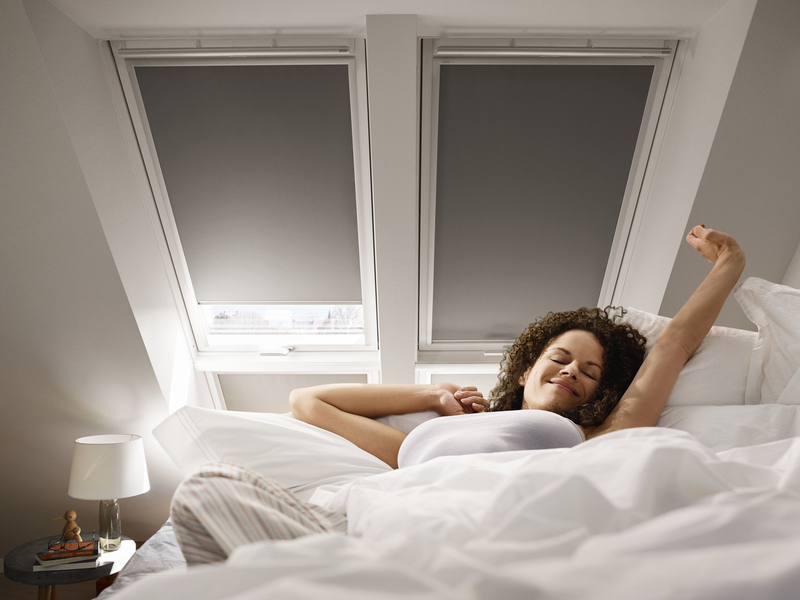 VELUX blackout blinds are tested to give you the best blackout effect on the market. They perfectly darken any room at any time of the day, no matter the colour of the blind. Choose the design that complements your style and your room's interior the best. 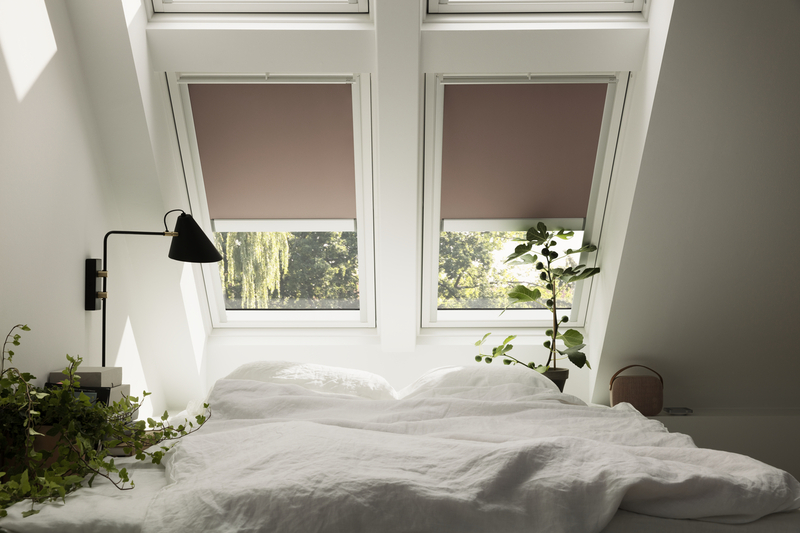 To choose the right operation of your VELUX blind, you should consider where your roof windows are placed and how often you expect to adjust the position of the blind. 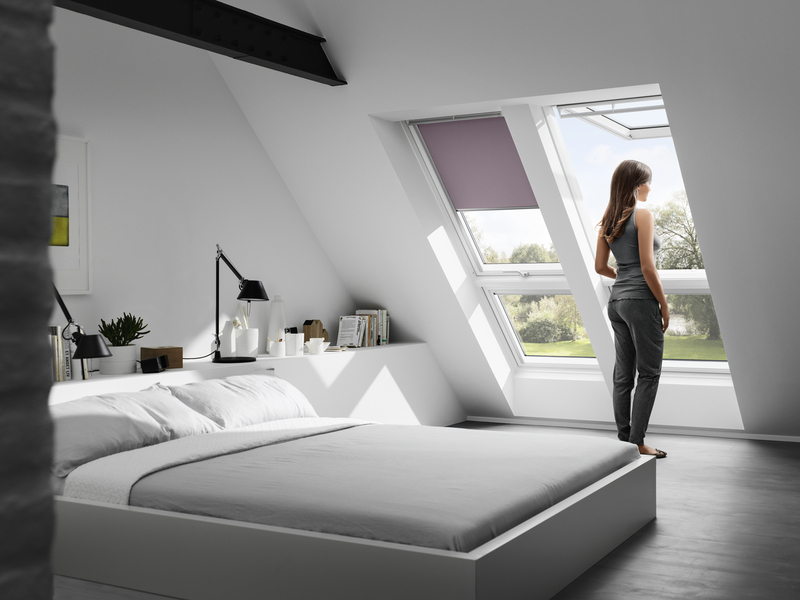 Solar and electrically powered blinds are both remote controlled and are the ideal choice for those with out-of-reach VELUX roof windows, or those who wish to add a touch of innovative luxury to their rooms. Manually operated blinds with control bars are very easy to use. The blind is attached to a top casing on the roof window and runs in side rails that ensure a smooth operation and stepless positioning.Simply grab the control bar at the bottom of the blind to raise or lower as you please. To ease the operation of a manually operated blind, you can also purchase rod controls, rod extension pieces and rod adapters. Remote controlled and electrically powered awning blinds are operated with the pre-paired wall switch supplied with your VELUX INTEGRA® blind. An intuitive solution that lets you easily control your blinds remotely. Multiple blinds can be programmed into one wall switch for simultaneous operation. Remote controlled and solar powered blackout blinds are operated with the pre-paired wall switch supplied with the blind. If necessary, the solar powered blind can also be operated manually. The solar-rechargeable battery holds enough charge for up to 600 operations, even if there is no direct sunlight for recharging. VELUX blackout blinds are made of a dirt resistant OEKO-TEX® fabric consisting of three layers; a polyester layer facing the room, a light-tight intermediate layer, and a special aluminium coating on the back. The aluminium coating blocks out the light while improving insulation by reducing heat from the sun in the summer and retaining heat in the winter. The cords are made of polyester. VELUX blackout blinds with manual operation (control bar), electric operation or solar powered operation run in side rails made of anodised aluminium. This prevents light from passing in around the edges. Add the perfect finishing touch to your VELUX roof windows with VELUX blinds and shutters. We commissioned leading Parisian agency, Trend Union, to create an eclectic mix of colours and fabrics. The result is a stunning collection that complements every interior beautifully. 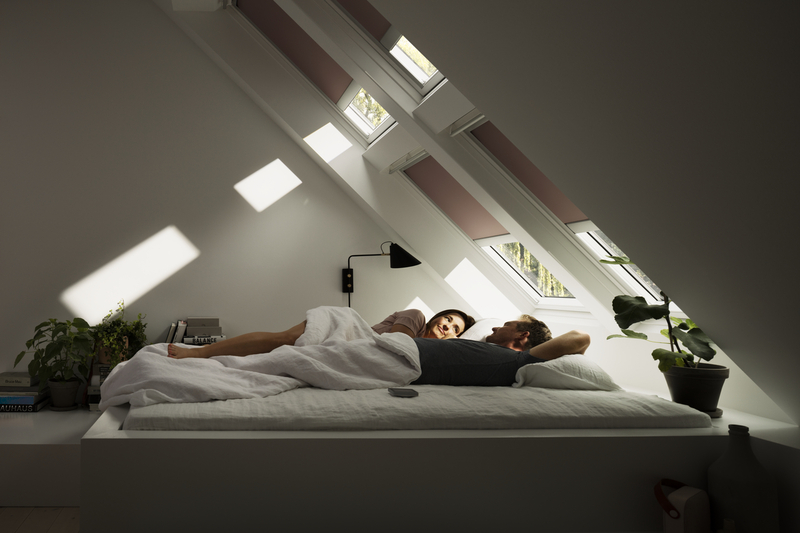 Our pre-installed patented mounting brackets come as standard on every VELUX roof window – and they fit any of our VELUX blinds making installation hassle-free. Installation instructions will be included when you purchase a blind. Installation instructions The PDFs are detailed, illustrative instructions that carefully takes you trough every single step in the installation process. To be able to read a PDF file you need to have Acrobat Reader on your computer. The tool is free and can be downloaded from Adobe for free. VELUX blackout energy blinds provide blackout and high insulation against cold due to the tight construction and the double pleated cloth with a built-in aluminium honeycomb structure. The insulation effect is up to 25%. Because the blind is not fixed at the top or the bottom, it can be positioned anywhere in the window. This provides you with fully adjustable light control and privacy. With the Colour by You Collection, you can customise your blind colour to reflect your unique style. Match your blinds with your curtains, carpet, couch or more – the choice is yours.